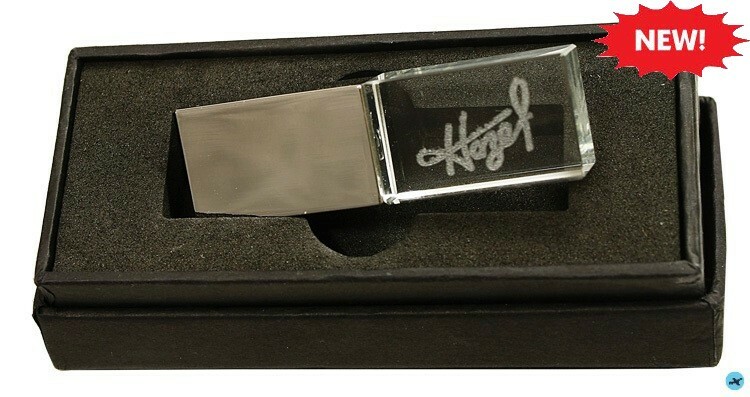 Glass and Silver metal USB flash drive that holds up to 4GB of storage and personalized. 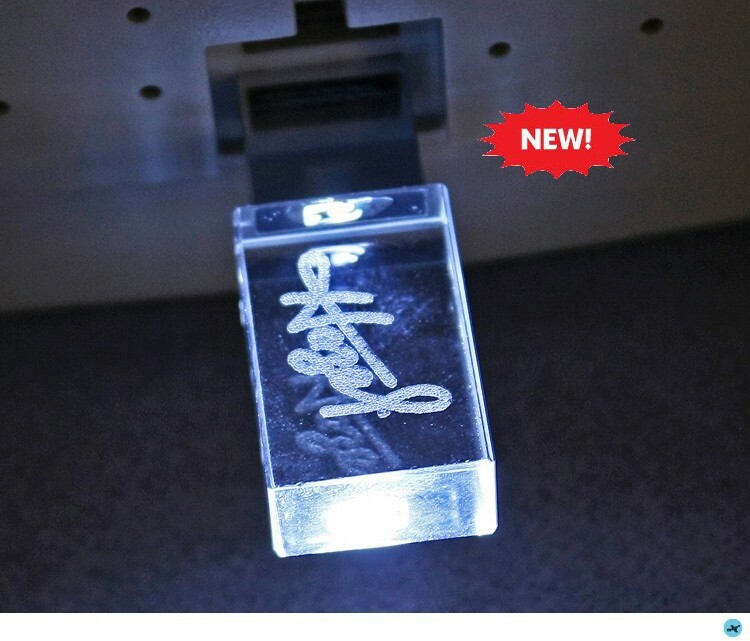 Lasered on glass that lights up when in use and packaged in a gift box. 2 5/16" x 11/16” x 3/8"